Carnival at the Franklin Institute. Magic and the supernatural have been declared nonexistent, artists are called illusionists and scientists are deemed to be incomprehensible monomaniacs who know a lot about little but little about a lot. Maybe it’s time to take a break and resume it. This small essay is a personal cosmology. I brought together the thinking of the most important modern scientists and philosophers, mixed with my own personal observations and remarks. The first part describes the cosmos genesis; what we know about it and what areas are at the moment unclear but actively researched. The second part describes the biosphere, new insights in the evolution of life and the human brain. The third part reconnects with the second part by describing how evolutionary cycles influence human history and introduces a new approach to the reservoir of human knowledge, called the Noosphere. The subjects are intelligence and self-consciousness, literary criticism, the emerging of a new human phenotype, an anatomy of war and the rising degree of entropy in the USA. The fourth part describes the contemporary paradigms that religion encounters. It is also a mix of thoughts about religion, creativity and personal truth- and sense finding. 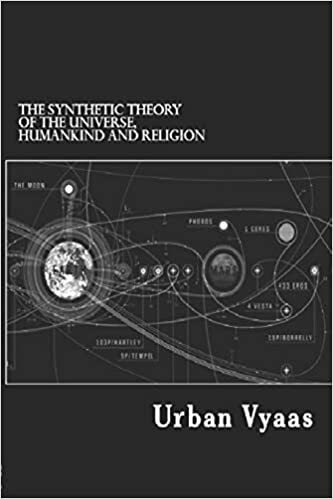 Although this essay has the total amount of the human knowledge for subject, it’s by no means of an encyclopedic nature but wants to mark the shift from the Newtonian methodology to system analysis in the twentieth century and the opportunity it offers to create again a unified frame for the ensemble of scientific, artistic and religious thinking. Keep it going, but don’t get religious about it. Hehe. It’s not that religious, but it is kind of. Using narratology to express ideas. Analogous stories, genealogy, how to do rah rah. It’s just the framework or model, which I fill in be explaining and demonstrating it could be anyone. Everything is about “me me me” or whatever. And *i* could be anyone, including you. Lol. Every religion, any of them. Just a collection of personal essays. Hehe. It’s fun for me, but totally divisive.